still be this, old customer, evaluation also good! MTP/MPO Cassettes are specially designed to reduce installation time and cost for an optical network infrastructure in the premises environment. The LGX cassettes provide secure transition between MTP/MPO and LC/SC/ST/FC connectors. 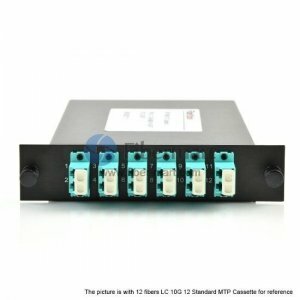 MTP/MPO cassettes are used to interconnect MTP/MPO backbones with LC/SC/ST/FC patching. 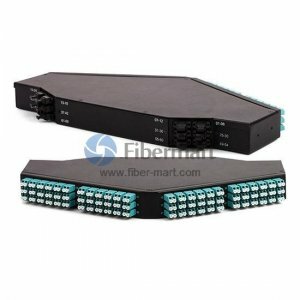 Fiber-Mart offers a wide range of single-mode and multi-mode MTP/MPO cassettes with 12-strand or 24-strand configuration. The standard MTP/MPO cassettes can accommodate 12 and 24 port configurations. We also provide Customized Service such as colors, meanwhile MTP/MPO Patch Panels (1U 19" Rack Chassis) are available to hold more cassettes.